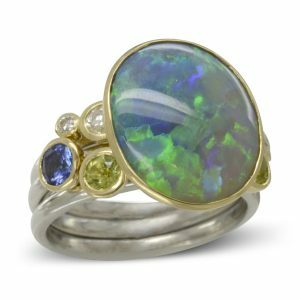 All the designs pictured here are bespoke, opal is not one of our stocked gems. 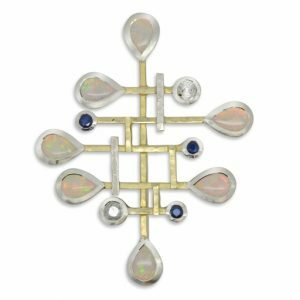 These pieces have either been made with a specially sourced opal or with a clients existing stone. 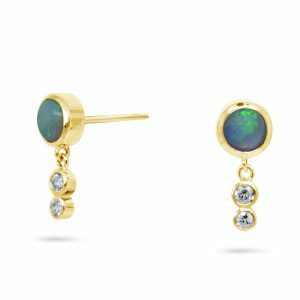 More than any other gem, opals are distinctly individual with all of Nature’s splendour reflected in their manifold opulence: fire and lightnings, all the colours of the rainbow and the soft shine of far seas. 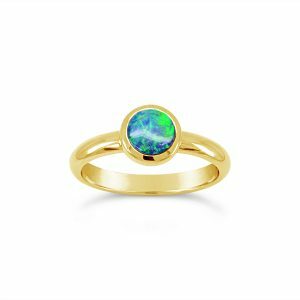 Numerous legends and tales surround this colourful gemstone, which can be traced back in its origins to a time long before our memory, to the ancient dream time of the Australian aborigines. It is reported in their legends that the creator came down to Earth on a rainbow, in order to bring the message of peace to all the humans. And at the very spot, where his foot touched the ground, the stones became alive and started sparkling in all the colours of the rainbow. 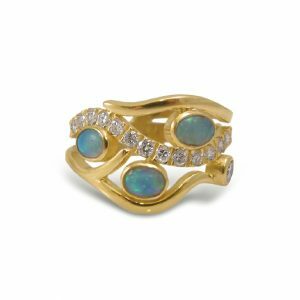 That was the birth of the Opals. 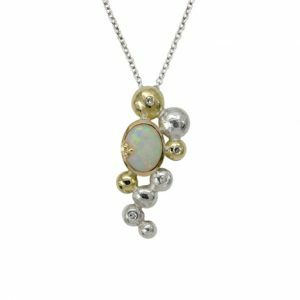 Almost ninety-five per cent of all fine opals come from the dry and remote outback deserts of Austrailia. Values are normally determined by the presence and nature of color flashes. 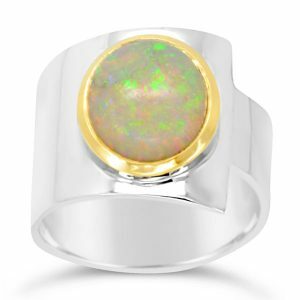 Opal is relatively soft and is the most delicate gemstone commonly worn. They require special care to ensure their health and longevity. 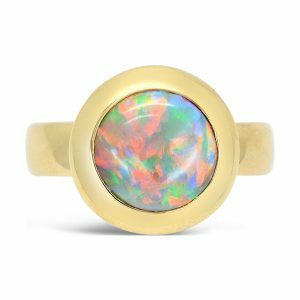 Despite its frequent use in rings, opal is a poor choice for a ring stone; it is much better suited to earrings, pins, and pendants. 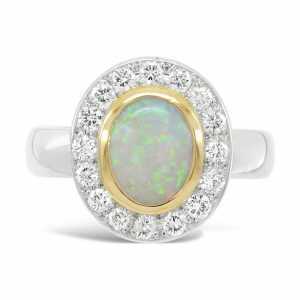 In order to best bring out the play of colour in a Fine Opal, the stones are cut and polished to round or oval cabochons. These are relatively rare and expensive. 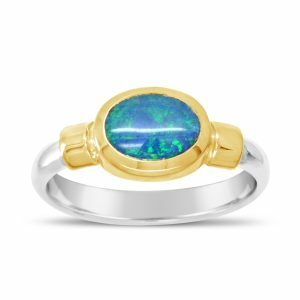 Less expensive but still beautiful Opal is often found as thin layers. 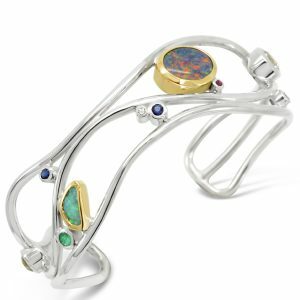 If you leave a thin but supporting layer of the harder mother rock as you cut this layer, you will create an Opal-doublet, which are frequently used today. 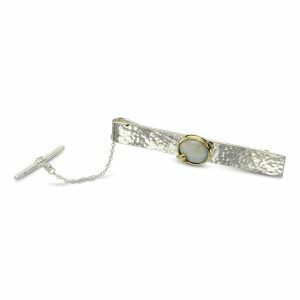 Doublets are also made from millimetre-thin Opal plates, which have been mounted on Onyx. Triplets have an additional cover from Rock Crystal or Glass for protection. 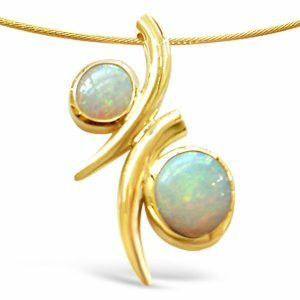 The Opals pictured in the jewellery here are mostly opals that have been remounted from clients inherited vintage jewellery or were purchased in Australia as a memento of a holiday. 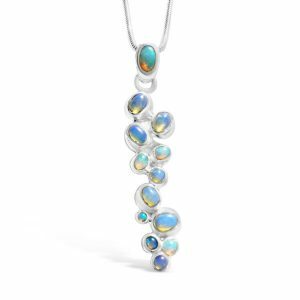 If you do not have your own Opal we can source a selection for you to view and use it to inspire a stunning and unusual piece.